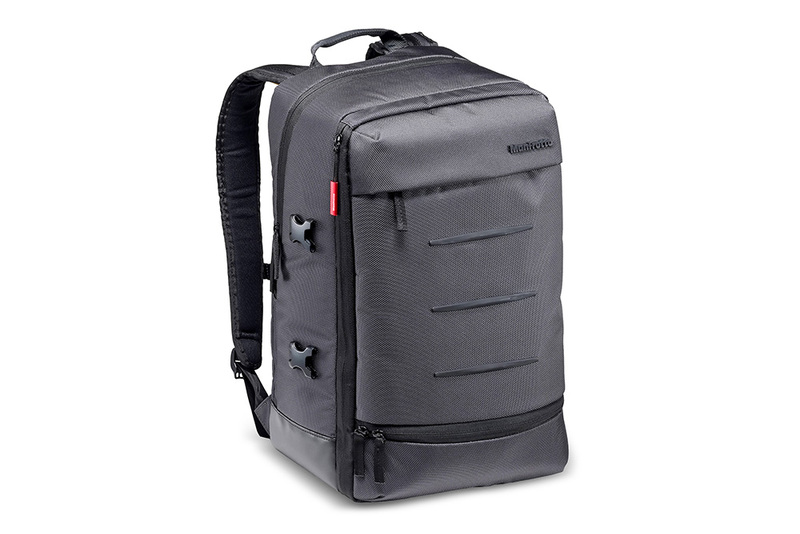 This ultra-modern looking bag from Manfrotto uses its fashionably clean lines to great effect. Just like the Noreg, there is a modular aspect, with the internal camera insert, which uses Manfrotto’s new Flexy Camera Shell technology, being fully removable. This means you can also use it like a regular backpack. It also features a zipped mesh, which can be a touch fiddly when you’re in a rush. If you want to stay connected on your travels, a padded area will hold a 14in laptop, as well as a 9.7in tablet. The main compartment can house a premium CSC and lens, alongside three additional lenses. There’s space up top for your personal items, and this compartment will also fit a DJI Mavic Pro with two additional batteries. The front of the bag features the company’s new NeverLose tripod technology, which will keep your tripod secure. It consists of a pouch on the front of the bag, and two clipped straps that will keep it firmly in place.